Honestly I wanna see you be brave! There we were, gathered in the ‘Take a Break’, our version of an employee lounge. It was a birthday celebration and someone brought a delightful cake for all to share. I deposited the half piece on my party plate and placed a luscious bite in my mouth. That’s when she said, “That’s why you look the way you do”. But really, as I choked down that one bite and all joy I’d had from the taste, I quietly put the rest in the trash and left the room. She won. The meeting was going well. Ideas were being discussed and plans were solidifying. There was a question about a grant. That’s when he said, “I’d rather deal with terrorists and snipers than your program”. 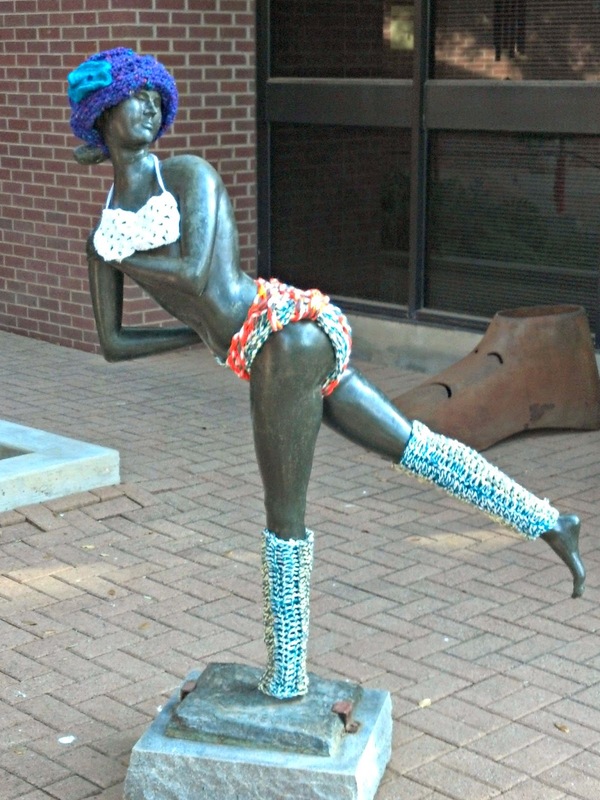 Several people smiled and a few even broke into spontaneous laughter. That’s what I said in my head. Actually my feelings were really hurt. And I was embarrassed. But I smiled with the rest and acted like I agreed. He won. Jumping up I screamed, “How the heck should I know? Does ommitance count?” But like the good girl I am, I didn’t mention specifics. Instead, I politely replied with the expected, “No.” She won. Why is it not acceptable to say what I think, what I want to say? Why can’t I defend myself? It wouldn’t have to be snarky. I could keep it polite, not bringing myself down to their level. But I don’t contradict. I don’t make waves. And sadly, the word bullies win. I have three little granddaughters. I love them dearly and want the best as they become young ladies. I hope they are able to stand up for themselves and what they think is right without ridicule or insults. I want them to be strong but kind, to be assertive but gracious and to be articulate but polite. I want them to be brave. I want them to defeat the word bullies. Don’t run, just stop holding your tongue! 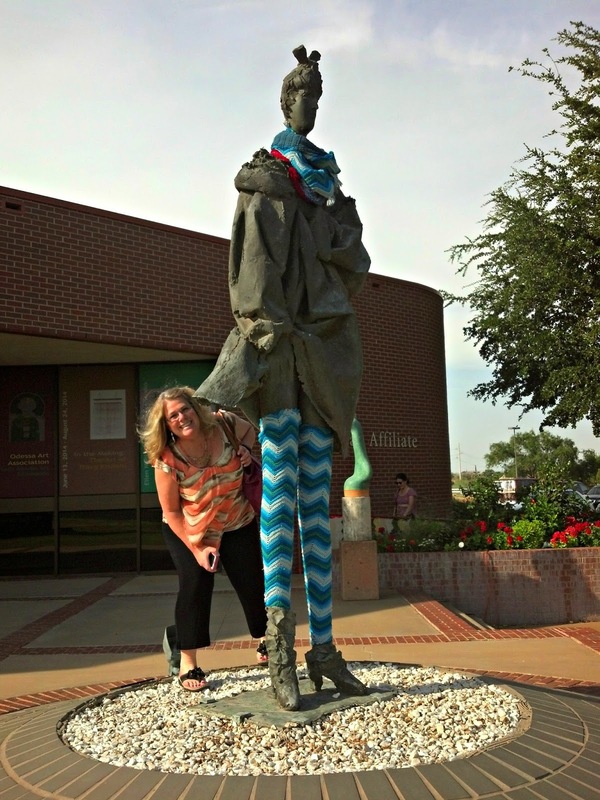 Believe it or not there was a yarn bombing, right here in Odessa! Well, sort of anyway. It was at the Museum and it was their interpretation. 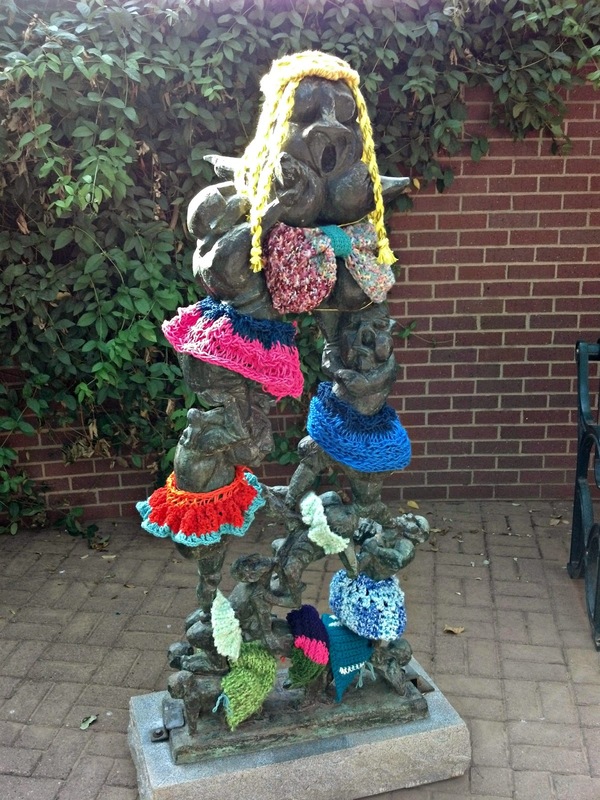 I didn’t completely agree it was a true yarn bombing but it was fun anyway. 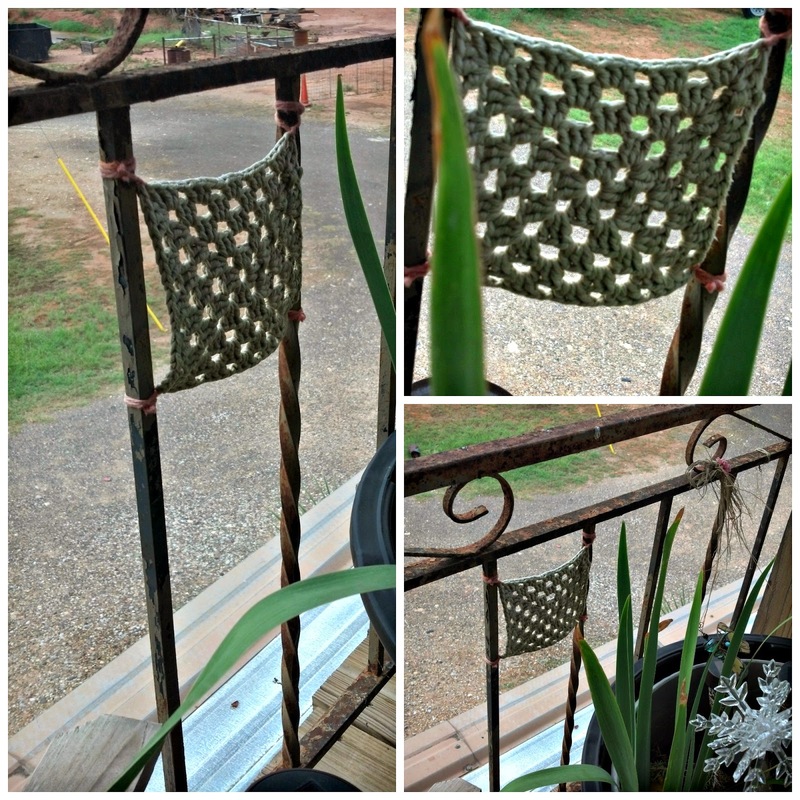 Here’s a few pictures. 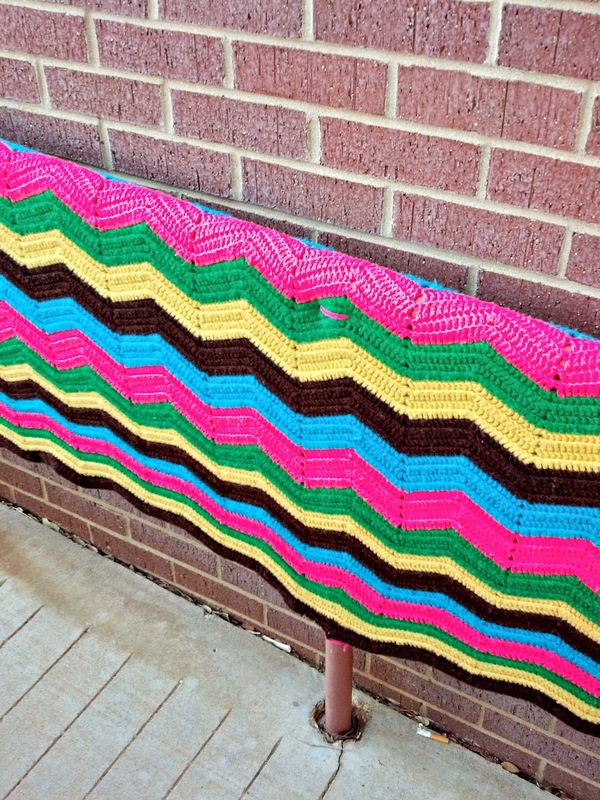 Someone's grandma is missing an afghan!! Borrowed from the living room couch? 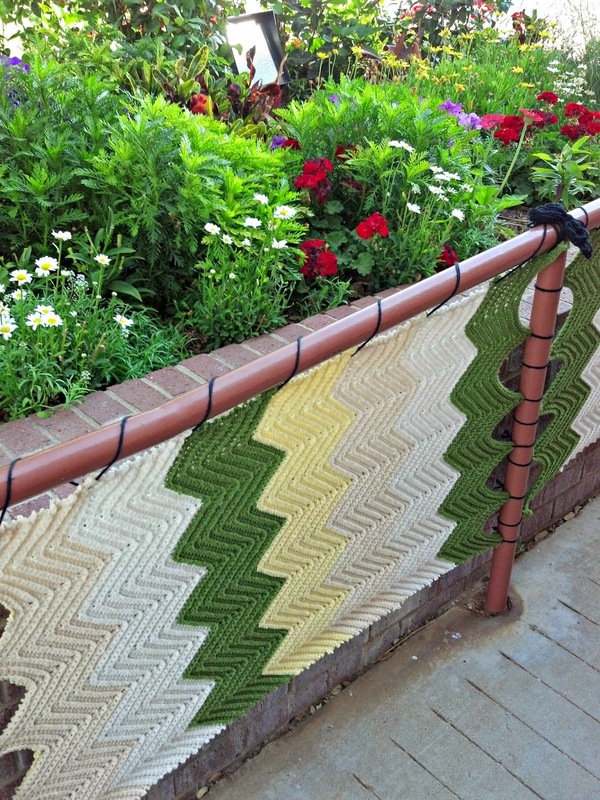 And here’s my own little yarn bomb on my deck. Because I can. 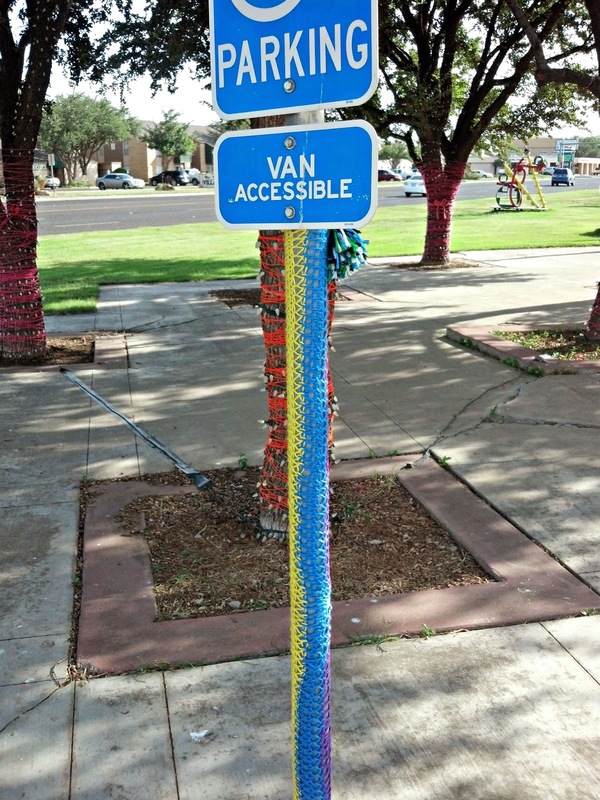 My own private yarn bomb! I am constantly amazed by how rude people can be to others. Sorry you have to deal with so many of them! 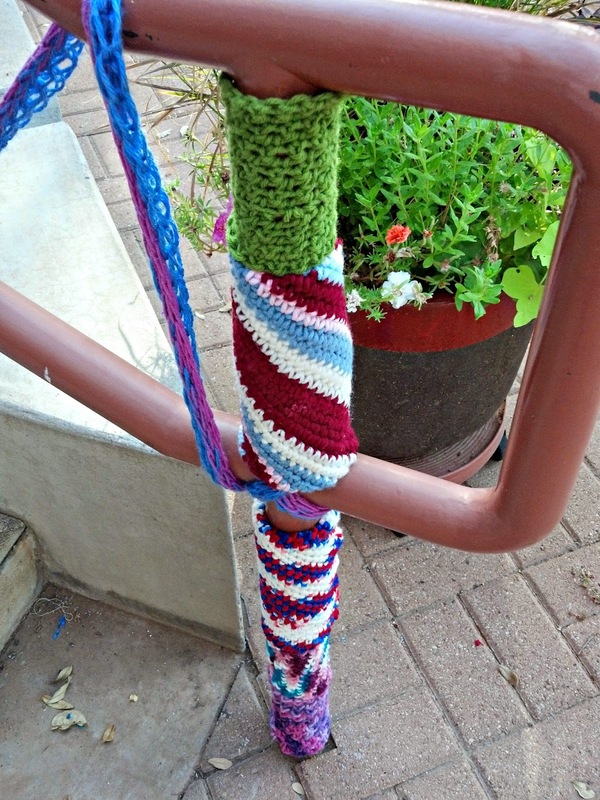 I love the strange little creatures with skirts on the yarn bombing and your personal porch yarn bombing. So here I am... Two grandchildren and busy as ever later. Where does the time go? I used to be quiet. And I suppose there is a time and place... but now I just open up my face. I can trust those who will accept me as I am. Poet, writer, wife, mother, friend. As for those who choose to use the wrong words incorrectly - I'll let them know most of the time. But sometimes it is best if one wants to save face to say nothing... just don't let 'it' eat you. And enjoy your cake. For when I did need to keep some part time jobs I had I did not speak. Other times I tried to speak to management... But when I was able, I told a few bullies off and quit jobs. Sometimes people just have very little in the brains department regarding sensitivity or intelligence. Wishing you peaceful resolutions and a Happy New Year!